This jacket can either be a lab coat or a warm-up jacket! 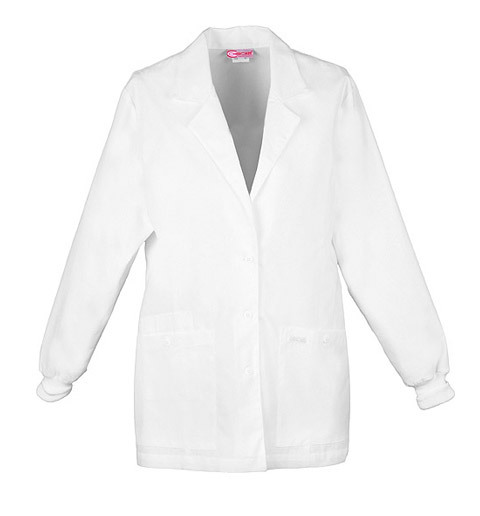 This 30" notched lapel lab coat doubles as a warm-up with its rib knit cuffs, two button trimmed patch pockets, and an extra utility pocket. Seams shape the front and an elastic inset with buttoned tabs shape the back. Made of 65/35 poly-cotton blend.